cdcindonesia.com - Indonesian morning enthusiasm, the following are job vacancies that come from one of the non-ministerial institutions in Indonesia, namely:Badan Ekonomi Kreatif Indonesia - BEKRAF is the Creative Economy Agency of Indonesia. BEKRAF is an independent government agency in Indonesia for creative economy which was formed to promote creative economy in Indonesia. BEKRAF is a non-ministerial government institution under and responsible to the President through a minister in charge of government affairs in the field of tourism. 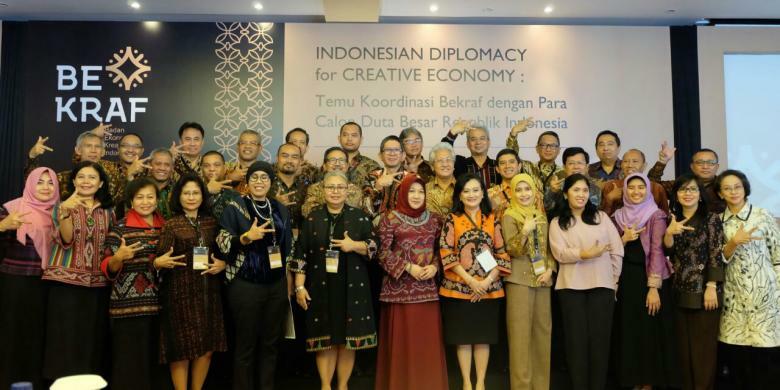 BEKRAF is responsible for creative economic development in Indonesia. Due to strengthen its team, Badan Ekonomi Kreatif - Deputy for Infrastructure is pleased to announce the following vacancies for immediate recruitment. Tim Pembantuan (Help Desk) untuk program Bantuan Pemerintah untuk Fasilitasi Revitalisasi Infrastruktur Fisik Ruang Kreatif 2019. Possess certificate of expertise (SKA), minimum SKA Muda for Arsitek, Ahli Struktur Bangunan, Ahli MEP, QS/CE and mastering 2D and 3D software for drafter. Willing to be assigned to various regions in Indonesia (maximum 3 days for each location). Willing to be called for an interview. For further information, please refer official source from Badan Ekonomi Kreatif on following link below. If you feel you are the one who have those requirement above, please send your updated application to info.deputi3@bekraf.go.id with email subject: Seleksi Tim Pembantuan (Helpdesk).